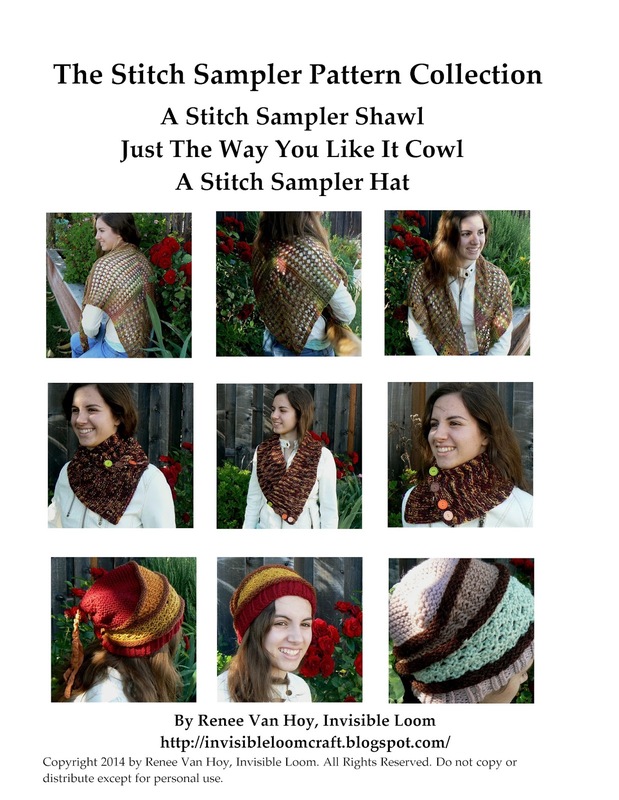 Included with the dictionary is the Stitch Sampler Pattern collection. 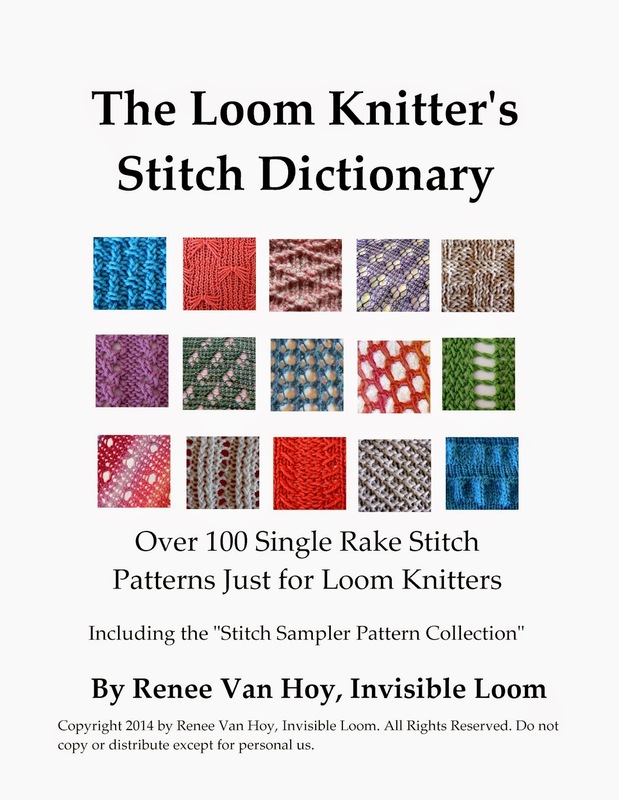 There are color photos of each type of stitch pattern, and a full Table of Contents and Alphabetical Index, with hyperlinks and bookmarks to make navigation within the dictionary easier. 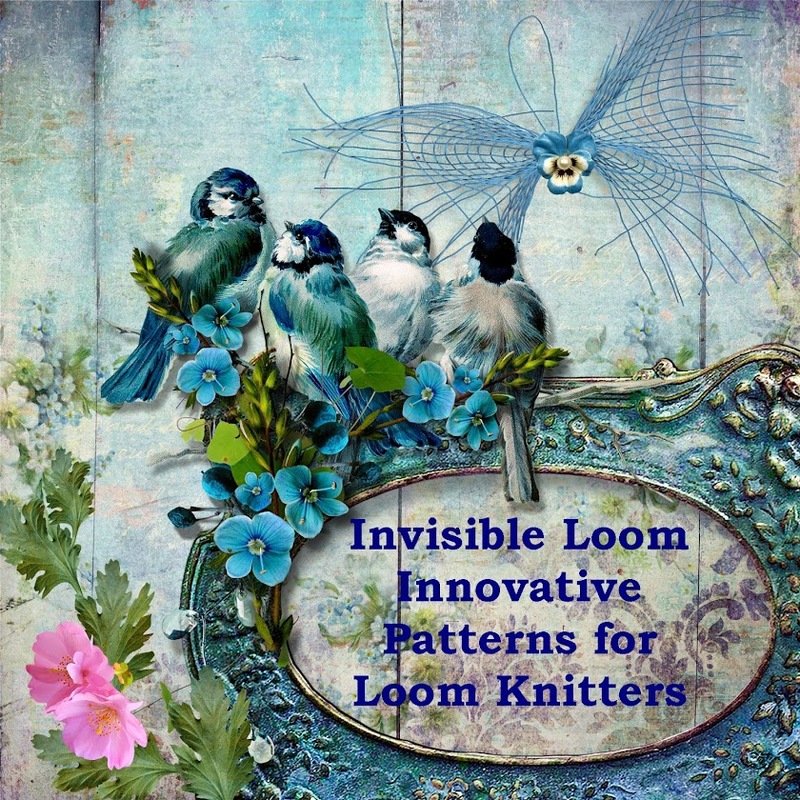 The stitch patterns have clear, step-by-step directions in terms just for loom knitters. You won’t find a “ssk” or “psso” in this dictionary. The Dictionary has an introductory section with suggestions to start you using the stitch patterns in basic designs. The Dictionary is written in large print, 20 point font, and may be read as a pdf or printed, however you prefer. It is tablet and screen reader friendly. Accompanying the Dictionary is a trio of patterns, to help show you how stitch patterns may be combined to make larger projects. This pattern e-book includes a four page photo gallery and is written in large print, 24 point font.